All roads lead to Milan for the game of the weekend in Italy’s Serie A, where Simone Inzaghi takes his Lazio side in pursuit of AC Milan in the chase for a Champions League place. Serie A Milan vs Lazio is always a highlight of the season and this time it’s huge. As we head towards the finish line there are five teams within three points of fourth placed Milan. Lazio, in seventh, can catch the Rossoneri with a win on Saturday, but equally, a victory for Gennaro Gattuso’s men will deal a heavy blow to their visitors’ hopes. Milan desperately needs the win too. The Rossoneri was in a handy position not long ago, but a return of just one point from the last 12 has sucked Gennaro’s men back into the chasing pack, level on points with Atalanta and just one ahead of sixth placed Roma. It couldn’t be any tighter up there (outside the top three) and Saturday Night’s clash at the San Siro will be a battle of nerves as well as skill. The victors’ prize will be a timely boost ready for the final run-in. Gattuso made the signing of the mid-season when he secured the services of Polish striker Kryzsztof Piatek who had caught the eye having scored 19 goals in 21 games for Genoa. And since his 35m Euro switch he’s carried on scoring. He bagged his 21st league goal of the season in a 2-1 defeat to Juventus last week and that puts him right in the race for the Capocannoniere. He’s gathering a head of steam, with ten goals from the last 13 games in all competitions, but he does need some help. Suso is Milan’s creative muscle, from the right wing or as an attacking midfielder, and Lazio needs to stop him if they are to cut the supply to Piatek. At the back, with the threat of Lazio’s Ciro Immobile to cope with, Captain Alessio Romagnoli is a key figure. The 24 year old has maturity beyond his years and has played with calm assurance since his arrival in Roma back in 2015. Milan has the players to take control of the race for fourth, do they have the nerve? The Biancoceleste has had a roller coaster of a season but has been on a decent run with three wins and two draws from the last six games, the only major blemish being a shock 1-0 defeat away to relegation candidates SPAL. But they would have hoped to do better than draw 2-2 at home to 11th placed Sassuolo last week, when they needed a 95th minute Senad Lulic equaliser to save a point after Immobile had put them ahead with a second half penalty. That kind of defending will have Piatek pricking his ears up! 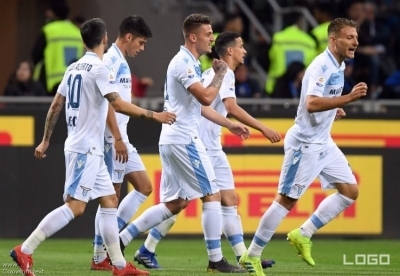 Before those last two games Lazio picked up ten points from 12 and they need to go on that kind of a run now to give themselves a chance of Champions League football next season. But Simone Inzaghi’s side is still counting the cost of a poor December when they failed to beat Chievo and Sampdoria, as well as losing to Atalanta. 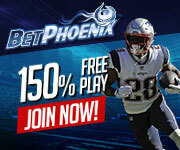 Let’s take a look at the head to heads and the SBOBET odds now, and make a call for this big, big game. The Milan vs Lazio results, since 1993, have been in the Rossoneri’s favour. In the 60 games played Milan has won 25 to Lazio’s 11, while there have been 24 draws. And at the San Siro they have won 16, drawn 12 and lost just two over that period, unbeaten in the last four at home to the Biancoceleste. The last four meetings have ended in a draw, three without goals, so we can expect a tight affair. Without a win in four games this is by no means an easy target for Milan to get back on track. This is a game which could go either way, that’s for sure. Lazio arguably has the better recent form while Milan has that crucial home advantage. 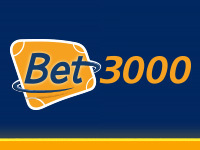 The Milan vs Lazio betting odds have the Rossoneri slight favourites at 2.54 to win, with the visitors at 2.82 and the draw at 3.10. A 1-1 draw is the most likely result at odds of 5.40, but I thing with Piatek’s firepower and a passionate San Siro crowd Milan may just have the edge.